The following cheats are available for the Xbox 360 version of Cars, the open world racing video game based on the 2006 Disney Pixar film. LA International Speedway - 100 points. Win this race and finish in 1st place. Lizzies Postcard Hunt - 100 points. Collect all available postcards in Postcard Hunt. Monster Truck Mayhem - 50 points. Motor Speedway of the South - 50 points. Ornament Valley - 75 points. Complete necessary activities to unlock Ornament Valley. Ornament Valley GP - 50 points. Palm Mile Speedway - 75 points. Radiator Springs GP - 50 points. Rustbucket Race-O-Rama - 50 points. Sheriffs Hot Pursuit - 50 points. Successfully complete all levels of Sheriffs Hot Pursuit. Smasherville Motor Speedway - 75 points. Sun Valley International Raceway - 75 points. Tailfin Pass - 75 points. Complete necessary activities to unlock Tailfin Pass. Tailfin Pass GP - 50 points. Tractor Tipping - 75 points. Successfully complete all levels of Tractor Tipping. Cheat codes are also available for Cars on the PS2 and the Nintendo Wii. 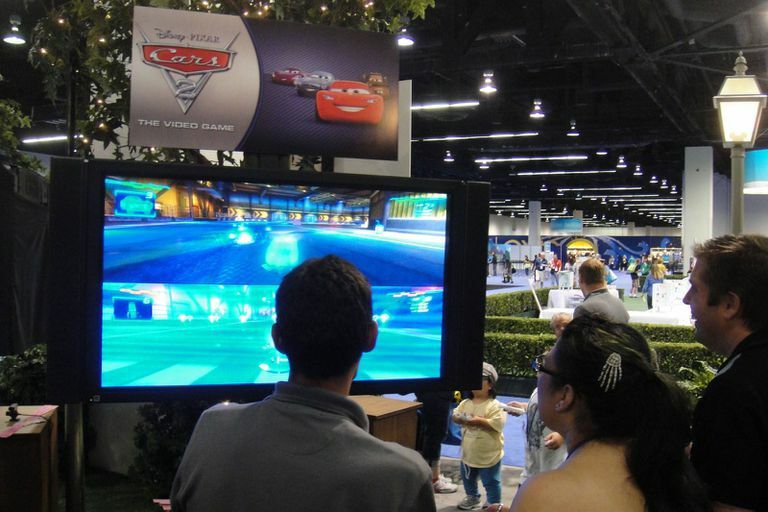 What Are the Best Cheats Codes and Hints for 'Cars' on PS2?